Valentine’s Day celebrated in many countries arroud the world and it also know as Saint Valentine’s or the Feast of Saint Valentine. On Valentine’s Day lovers expressed their love for each other by offering flowers, confectionery, and sending greeting cards with romantic lovely shayari. 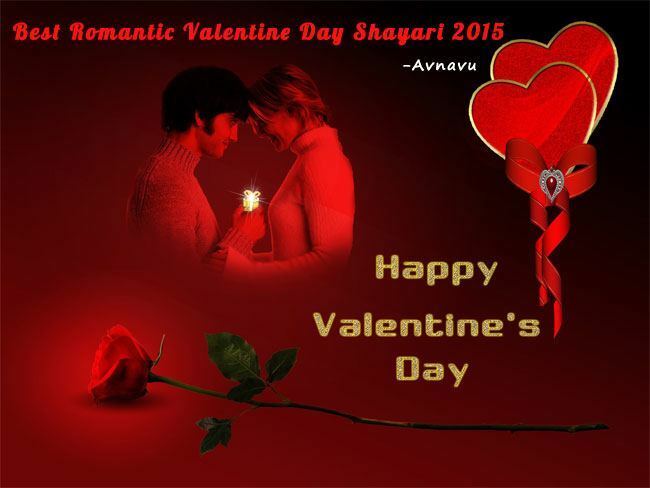 here you find one of the best 2015 romantic shayari collection to express your love with Valentine’s Gift. Happy Valentine’s Day Text SMS ! 2015 Valentine’s Day Greeting Message! Aur hamari taraf se aap ko Valentine’s day mubarak.